How should I select which stocks to invest in? In the area of finance and investing, like many other fields, the questions you ask are perhaps more important than the answers to them. But again in this area, even the simplest of questions can have a variety of complex answers. So something as basic as how should I decide which stocks to invest in – can have multitude of answers. In my view, this kind of question will, perhaps, have at least 3-4 questions as its answer to start with, when asked to an expert. When individual investors ask this question (or of a similar kind) to a financial planner or an advisor or an expert, the investor is most likely to get either unclear answers with a number of riders; or a set of additional questions like how long can you hold, what is your risk appetite, etc. And do not get me wrong. These are perfectly valid questions from the point of view of the advisor, as the expert is trying to assess the investor before giving a customized answer. But it will still leave the investor confused – specially the next time he wants to take a similar decision on selection on stocks. So, I am going to try and attempt simple answers to this question in this note. My first answer is – if you can help it, do not invest in stocks directly at all. Invest in an index fund instead (or if you like a fund manager – invest in an actively managed well performing fund). Despite that, if you still want to invest directly in stocks, my second answer would be restrict yourself to the Index stocks or the top 50 stocks by market capitalization, and simply construct a portfolio by buying companies that have high return on equity, low or no debt compared to equity, high profit margins over time and consistent dividend paying history; and buy them when their valuations as measured by Price to Earnings or Price to Book are lower or reasonable compared to long term averages. And better still, buy them regularly over time to build a portfolio. Beyond this, if you still want to expand your universe of stocks, then the only reason you need to go outside the top stocks by market capitalization is if you can beat the index. And for that, you will need hard work, continuous research, adoption of an investing approach that is not followed commonly and lots of patience. Once you decide that you are prepared to do that, I think the parameters you look for in stocks for investment change. You then enter a territory where there is lack of credible historical performance, unpredictability, unproven business models and perhaps low liquidity. You are then buying a promise for the future, and your interests are then best served if you strictly buy value. In such a scenario, you should then look for stocks that are cheap in relation to assets and/or earnings. And cheap would mean different benchmarks depending on margins, growth expectations and debt – but essentially the focus should be on buying cheap. So in a nutshell, the simple answer to this question of ‘how do I select which stocks to invest in?’ is firstly this – do not do that selection at all, leave it to the index or a fund manager who is smarter than you and the index. If you think you are smart, go ahead and buy index stocks over a period of time – you are then buying into good businesses at reasonable prices. 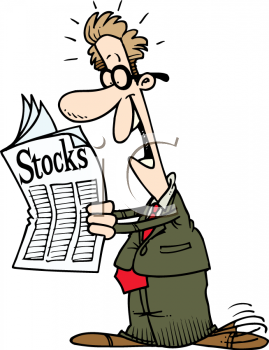 If you think you are even smarter, go ahead and buy stocks outside of the top stocks family, when they are cheap by earnings and asset measures – you are then buying into reasonable businesses, so be sure you get them at a good price. Using this simple framework, you will perhaps be in a position to answer this question on ‘how should I select which stocks to invest in?’ Though not precise, but at least, I hope, it provides a decent guideline to arrive at a stock selection decision.